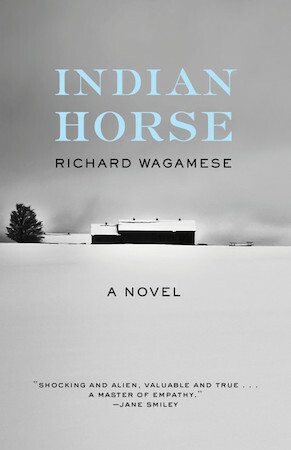 The following is from Richard Wagamese's novel, Indian Horse. Richard Wagamese (1955-2017) was one of Canada’s foremost writers, and one of the leading Indigenous writers in North America. He was the author of several acclaimed memoirs and more than a dozen novels, including Indian Horse, Medicine Walk, and Dream Wheels. When I hit the ice I left all of that behind me. I stepped onto the ice and Saul Indian Horse, the abandoned Ojibway kid, clutched in the frozen arms of his dead grandmother, ceased to exist. Father Leboutilier loved the game more than anybody. When he coached us or watched the televised games, he lost the solemn priestly facade and became a boy again, licking his lips in anticipation. His relish was infectious. So it didn’t surprise me when he began to show up at my early morning solo practices. He’d wait until I had scraped the ice clear and done my warm-ups, then lace up his own skates and join me. During those sessions I learned how to transfer what I could see in my head into my feet and my hands. Father Leboutilier taught me how to take a pass on my backhand without looking then switch it to my forehand to take a shot. He taught me how to snap off wrist shots like rockets with fast passes he fed me from behind the net. I learned how to fire accurately off either foot while still in motion and he showed me how my skates could help me handle the puck on the attack. 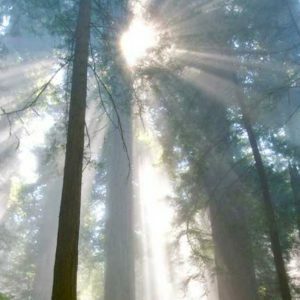 As I demonstrated each new technique, each step up in understanding, the delight on his face was my reward. I took his words to heart and I practiced diligently. Our school team played the town team a few more times that winter, and we won handily. Word had gotten around how well we played, and even Father Quinney attended a few games. My vision grew even sharper the more I played. There would always come a moment when the game would swing to me and I would find the puck on my stick. I came to expect that, relied on it. Winter ended and the rink melted back into the furrows of the field. But I kept getting up early. I began to run. I’d run down the curving gravel road to the bottom of the ridge and then up its harsh slope. When I got to the top I would turn and face the school while I caught my breath, and then I would turn and head through the bush to the lowland, where there was a beaver lodge. I’d watch the vee of swimming beavers, listen to ducks and mergansers, and think about what Father Leboutilier had said about my underlying spirit. When I told him what I was doing, he joined me. We ran every morning. He told me how important it was for a player to have strong thighs. He’d been to the Montreal Forum and met the astonishingly fast junior star Yvan Cournoyer in the Junior Canadiens’ dressing room. We started to do wind sprints up the face of the ridge. Once I could do a dozen in a row, he took me along the ridge to where boulders were thrown in a mad jumble at its base. I ran that talus every day. Leaping and bounding between the rocks was exhilarating, and we made a game of it. I tapped into the spirit of hockey in those tough training runs. One day when I was working in the barn, I discovered a sheet of linoleum stuffed in the back of the loft. As I wiped the chaff away, it felt like ice on my palm. I carried it out to the area where the hockey nets were stored and placed it about twenty feet in front of one of them. Then I took a stick and a puck and began snapping wrist shots at the net. Father Leboutilier ran interference for me with Sister Ignacia and got me free time to practice in the hour before the evening meal. It was a joy to find the game in the heat of summer, and when I saw a workman cutting off sections of three-inch pipe with a welding torch one afternoon, I asked if he could cut me a couple. Those rings weighed far more than a regular puck and I stickhandled with them and worked on my wrist shot until my wrists and forearms were rock hard. When I showed Father Leboutilier, he laughed. “Marvellous,” he said and roughed my hair. The Father got some boys in the wood shop to cut six holes in a sheet of plywood, one at each corner, right and left, top and bottom, one square in the middle at the bottom, and one in the centre top. I practiced shooting the heavy rounds of pipe at each of those holes. I worked hard at that. I practiced until I could feather the steel through each of those gaps. Then Father Leboutilier started calling out the holes to me. I’d sail a ring of pipe through that hole. He’d roll it back, then call out another hole. My shots grew pinpoint accurate and fast off the stick. When we switched back to regular pucks, the rubber was a blur. The other boys got wind of what I was doing and showed up to watch. Eventually they joined in and we held tournaments. Each hole had a point value and we each took twenty shots. The one with the highest points won. I went through the end of that summer and the fall undefeated. And in the gathering gloom of those evenings we all grew closer. I ceased to be the Zhaunagush. I became Saul Indian Horse, Ojibway kid and hockey player. I became a brother. I basked in the glow of this regard. In our laughter, teasing and rough camaraderie, I found another expression of the spirit of the game. We’d head back to the main building for the evening meal, jockeying, nudging, poking each other. Wrapped in the aura of freedom that the game offered us, we’d grin at each other over the hash and skimpy stews. Brothers. Joined by the promise of steel blades forming swirls in snow and ice. We were all a year older by the time winter came. I was almost thirteen. Our team looked bigger and more powerful when we took to the ice. Father Leboutilier had canvassed the other towns in the region and amassed a ragtag assortment of cast-off gear. Not all of our jerseys matched and they were stained and torn and ragged. There was laughter all around. But it stopped with our first shift. The summer of workouts had made all of us stronger and faster—the other boys had often joined Father Leboutilier and me for our training runs. Shooting the iron pucks off the linoleum had strengthened our shots and passes. When the boys asked me how I was able to do certain things, like stopping on one skate, or switching quickly from forward to backwards skating, they listened closely when I explained it, and then practiced it diligently too. We were in far better condition than the town kids. We brought a supple strength to our game now. The speed I had from the year before had increased twelve-fold. That first game, one of the town players poked the puck away from our defense and rumbled up ice all alone. I was caught behind their goal. But I caught him by the time he reached our blue line. I cut in front of him in a wide circle with my stick flat on the ice. I swept the puck off his stick and began skating back the other way. Everyone, including my own teammates was stunned. I skated by them in a blur and sped in alone on the goaltender. I snapped a wrist shot off from the bottom of the faceoff circle and beat him low on his stick side. We won that game and the next three. After that some men from town showed up at the school and asked permission for me to play on their midget town team. I was stunned. So was Father Leboutilier. “Midget players are sixteen and seventeen,” he told them. “He’s only thirteen,” the Father said. It took a hefty donation to the school to get Father Quinney to agree to let me play. Father Leboutilier drove me to practices and games in the old station wagon the nuns used for errands. The town team was coached by Levi Deiter, who ran the hardware store. But Father Leboutilier and I still went over things every morning on the school rink. He taught me a couple dozen different ways to ice the puck, to send it out of my team’s zone and down the length of the rink when the pressure was too intense. I learned how to make passes to myself using the boards, to rag the puck effectively if our team was short-handed. He showed me how to work the puck along the boards when a mash of players converged and how to use my body for leverage even though I was smaller than the players I faced. And he showed me how to take a hit and keep skating. The Father and I discovered ways for me to catch my breath, conserve my energy and rest, all while staying in motion and keeping myself in the play. I found I could go for longer and longer shifts. I scored a few goals in my first few games with the White River Falcons, but it was my passes that got people’s attention. I’d chosen thirteen as my number because no one else wanted it. The people in the bleachers never learned my name, but I could overhear their comments from the bench. I played ten games in total for White River. We won seven of them. I put up fourteen points in those ten games, most of them assists on passes no one saw coming. The five goals I scored were all on wrist shots. The other players relied on big booming slap shots like they’d seen Bobby Hull do on tv. I admired Hull’s thunder too, but I preferred the hair-trigger release of a good wrist shot. I gave myself to the game utterly. I loved the talks with Father Leboutilier in that old station wagon, the smell of musty gear and spit and sweat, the muttered curses and high-voiced shouts from the bench. I thrived on the sound of sticks banging applause against the boards, skate blades pounding a tattoo on the floor of the bench when a move electrified the team, and the feel of thick, padded gloves tousling my hair. In the spirit of hockey I believed I had found community, a shelter and a haven from everything bleak and ugly in the world. But the world of hockey in the early 1960s was a closed one, as it turned out. When Father Leboutilier arrived for the eleventh game, Levi Deiter was waiting for us alone in the lobby of the rink. He had his hands stuffed in his pockets and he wouldn’t look me in the eye. He motioned to Father Leboutilier, and they retreated to a corner by the trophy case. I stood there with my gear bag in my hand, wondering what the big secret was. They talked for a long time and I could see that the Father was growing agitated. Finally, he laid a hand on Levi Deiter’s shoulder. When Deiter looked up I could see tears in his eyes and I looked down at my feet in embarrassment. Father Leboutilier walked slowly back toward me, his lips pinched together. “Did the game get cancelled?” I asked. “There is no game, Saul,” the Father said softly. Just then my right-winger walked by with his gear bag in his hand. I stared out at the glare of the ice beyond the glass of the lobby and at the banks of empty seats. Other players sauntered through the doors, but when they saw me they lowered their gaze and walked faster. Father Leboutilier and I stood there amidst the whirr of the heater, the shouts and teasing of the players in the dressing room, the crunch of snow as cars pulled up outside. Finally, he put a hand on my shoulder and guided me out the door. I stood in the cold outside the station wagon while he slung my gear bag in the back. I could only stare at the arena. We didn’t talk on the drive to the school until we were almost there. I looked out at the rolling fields of white interspersed with copses of trees and thickets of bush. He drove with both hands on the wheel, looking straight ahead. I could hear the crack of our tires in the frost on the road. “It’s God’s game,” he said. “Where’s God now, then?” I asked. He gripped the wheel harder as the ruddy face of St. Jerome’s slid into view at the crest of the ridge. From Indian Horse. Used with permission of Milkweed Editions. Copyright © 2018 by Richard Wagamese.